Dacia is another story of European brand successfully resurrected almost from ashes, being in the company of Skoda’s tale. As in Czechs’s case, the same thing happened when well-established brand came to the rescue, and Romanian carmaker was purchased by Renault in 1999. In 2004 with the revelation of the new sedan or Logan things went really uphill and let us note that from 66k sold units that year, we reached 412k last year in Europe. Even managing to gain its foothold in Western Europe, Dacia began to widen its lineup which brought us the first SUV or Duster in 2009. It sells well, easily breaching 100k annually on old continent and same counts when fitted with other badges, respectively Renault and Nissan ones, in other parts of the world. 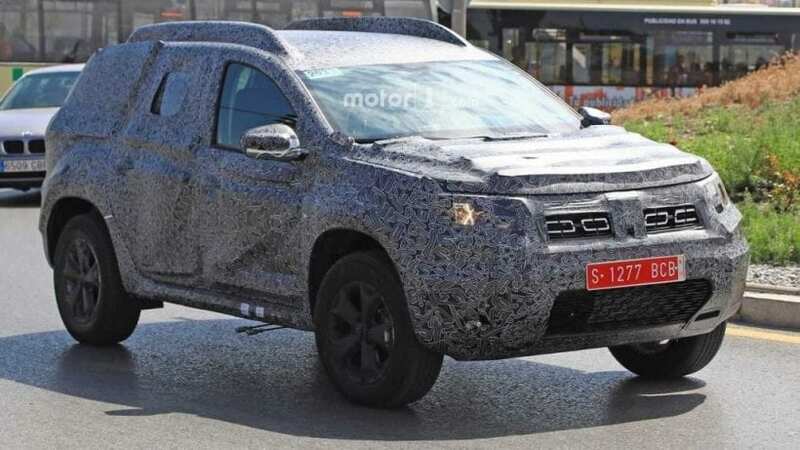 Still, eight years is a long time for market life, and 2018 Dacia Duster is on the way as spy shots clearly reveal to us. Sadly, at least for us, Romanians have done the pretty decent job in a concealing upcoming new generation. Test mules are full of fake bumps preventing us from reaching any clear conclusions about it. Still, we are going to try. It seems that headlights are smaller and sharper looking, while huge air intake on the bumper and position of fog lights remains the same. We can see that different test mules have different grilles, so fancier versions will naturally come with more stylish one. We didn’t even need to see pictures to know that side profile remains the same. It is shared between all Dacia products, so don’t expect any changes there. Any bending of sheet metal bears its cost, and when it’s done, you don’t want to bend anymore if cost cutting is your primary objective. That also means that overall shape is not prone to change, leaving designers to play with bumpers, lights, and grille. In that manner, we hope that they played a bit more with tail lights, which we aren’t able to see at this moment due to the clever camo. No pictures of the cabin for now, but we never saw someone excited about Dacia‘s way of dealing with it. It is a rudimentary thing for this brand, so expect an evolution of current one, perhaps with a bit more of fake chrome there or shinier plastic here, trying to break visual dissatisfaction with used materials. Things done with the latest refresh of Logan and Sandero might point that Duster is also destined to keep new four-spoke steering wheel shape unless it comes out with something unique, which we honestly doubt it will. Still, something of a big novelty is in preparation since seven seater version is about to arrive possibly dubbed as Grand Duster. 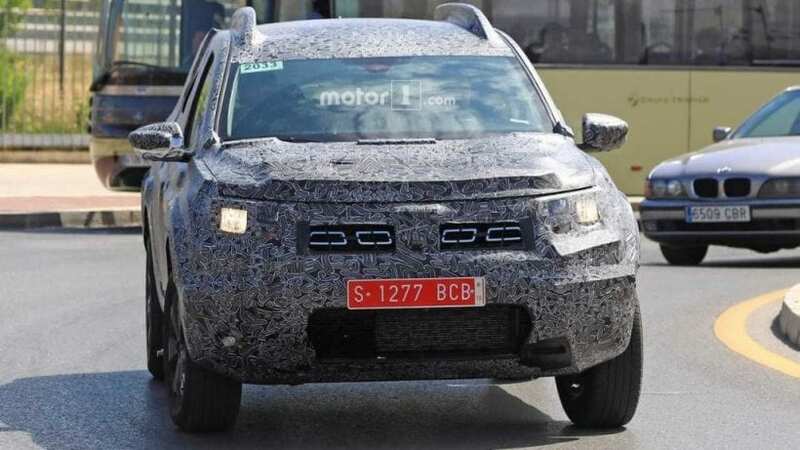 Spy photos are telling us that new Duster is still going to feature drum brakes at the back and that test mules are turbocharged since intercooler is visible behind the meshed intake. That also means that 1.2-liter I4 turbocharged petrol unit along with 1.5-liter I4 turbocharged diesel are still in charge of moving this thing, but we wouldn’t roll out completely current naturally aspirated 1.6-liter I4. As we don’t expect new engines, in the same manner, don’t anticipate relevant changes in current power outputs, ranging from 90 to 125 hp. Nissan will continue to provide AWD system, while new thing would be the introduction of six-speed dual clutch automatic generously borrowed from Renault. Brand new 2018 Dacia Duster is on the way, but not much new is going to arrive. Similar shape, similar cabin, similar engines. Only slight improvements are expected, and that is not something that we are accustomed to when waiting for a new generation to arrive. Still, keeping everything similar bears the similar price. For around €11k ($12,3k) there is nothing to rival it as the majority of compact crossovers ask for doubling of that sum. It remains the pick with tremendous value and if you can swallow its bland design, cheap plastic and lack of modern technological amenities, be sure to check out Frankfurt Motor Show this year in September, as that would be expected date of its debut.